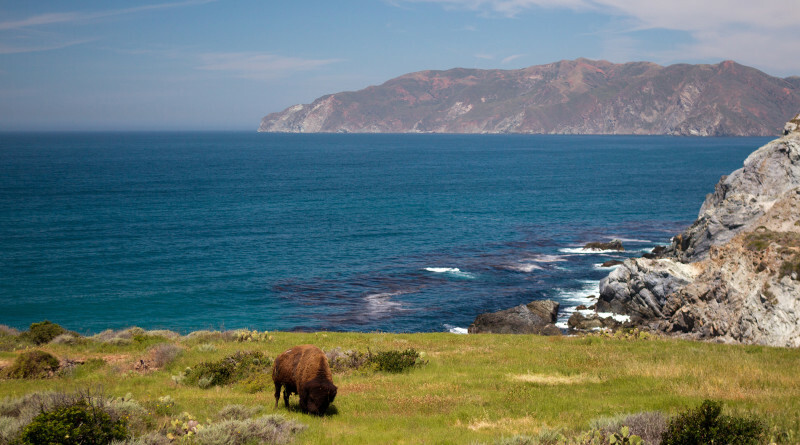 AVALON — The head of a conservation organization was gored by a bison on Catalina Island while conducting field work last month. American Conservation Experience (ACE) issued a statement Aug. 26 after the Orange County Register incorrectly reported 43-year-old Chris Baker was attacked as he took photos of a bison on the island, according to Associated Press. “Please note that Mr. Baker was not taking photos of bison when we was attacked. He was doing field work (GPS/Mapping) for a bid he is producing for Catalina Island Conservancy to create a new trial system for the islands,” according to the statement. “As Baker was walking down a trail he turned a corner and a bison was directly in his path. He tried to slowly move away from the animal when it charged him,” the statement continued. Three off-duty firefighters, a lifeguard and paramedics found Baker, president and CEO of ACE, who had walked approximately ¼ mile down the trial to seek help. They called 911 and the Los Angeles County Sheriff’s office responded. Baker was airlifted and taken to Harbor UCLA Medical center. He sustained moderate injuries and was recovering and doing well, at press time.